Major brands are increasingly looking to focus TV ad spending around DVR-proof events. As first reported by MediaPost, Coca-Cola plans to shift more of its spend to events like the Super Bowl and “American Idol," which are typically aired live. In contrast, dramas and comedies can increasingly be played at any time using on-demand programming with dvr's, mobile, online and other platforms. “You still do 30-second spots, but if you’re like me, most of the television you watch, you record and when you then watch it, you skip over all the ads … (but) you will watch certain shows live because you want to be able to talk about them tomorrow when you go to work,” Coca-Cola CFO Gary Fayard said. If other brands follow suit, and given that Coca-Cola is a bellwether for advertising there is no reason to believe they will not, creative sponsorship sales teams should be well positioned in this new world order to take spend from traditional ad sales. Afterall, when sponsored content becomes a valuable fabric of the programming it is harder to take it away from the viewers. The trick, of course, is to make sure that brand integration adds value to the consumer experience. If not, it's likely that it too will be rendered irrelevant by the next wave of technology. Remember the newspaper that took the unprecedented step to blur out sponsor signage on photos as a matter of policy? But, imagine watching (or ask your kids to watch) American Idol without the Coca-Cola Red Room, Ford Music Videos or the AT&T Text Vote. The experience for many viewers wouldn't be the same. The beautiful irony in all of this is that while technology has made traditional media companies vulnerable to consumer ad skipping, many of these same tech companies are now looking to come up with new ways to protect against the reality they enabled. 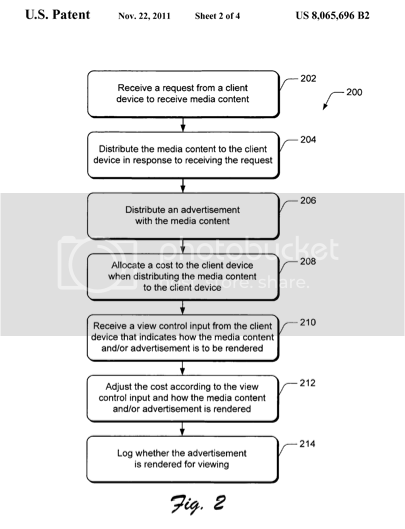 Microsoft recently filed a patent for something called "control based content pricing," which if turned into a product would charge content consumers on a variable pricing scale based on the extent to which they skip the ads around such content. Despite patents like this, It's very tough to put the content back into the bottle once you've opened it up free and clear for consumers to enjoy without ads and that's why there may be an increase in demand for the skills that experienced sponsorship marketers bring to the table. With great disruption comes great opportunity and integrated marketing is well positioned to capitalize. The :30's loss is all gain for sponsorship professionals that can package creative, customized ideas that uniquely embed brands into compelling content. Is that you? Get started here.